It remains to be seen whether the formula adjustment is temporary. Their annoucement drew very strong reactions from developers of purpose built rentals and landlords; both of whom cited the very real rising costs of building and maintaining the rental stock link. I don't envy the government for the difficult decision they had to make. Vancouver is having an election on October 20th. This will be one for the history books because the incumbent party, Vision, has collapsed. In fact, they don't even have a mayoral candidate. We finally have an opportunity to bring in a mayor and council that is not ok with the status quo. Polling shows that there are three serious contenders for the top spot: Shauna Sylvester, Ken Sim, and Kennedy Stewart. All three have, unsurprisingly, identified housing as their top priority. Here is what I consider the great and meh bits of their platform. Great - Densification of single family home (SFH) neighbhourhoods for 3-4 storeys with mechanisms for affordability. 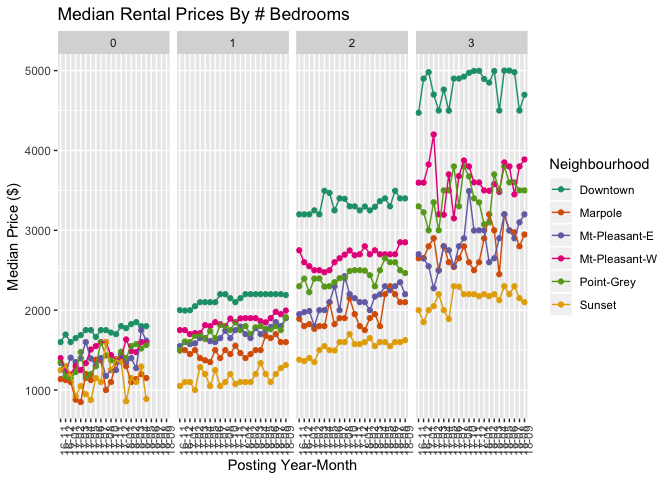 Great - Online dashboard for affordability metrics. Meh - Two secondary suites in detatched homes. Meh - Encouraging secondary suites, laneway homes, and innovative forms of land tenure. Shauna's platform nails it. She explicitly calls out the gap between local wages and cost of housing as the problem. Then she goes on to suggest that supply alone won't solve the issue. Instead, she advocates for densifying the SFH neighbhourhoods while introducing mechanisms to keep speculation under control. Her housing platform gets two thumbs up from me. Kennedy Stewart's platform has some good ideas, but these wheels are already in motion. In June, we talked about Vancouver's 10 year housing plan. That plan already targeted ~26.5k in rental and supportive housing for people making <80k per year, and ~40k in condos, coach, and townhouses. Similarly, Vision has already rezoned most of the city for duplexes, so he's not changing anything there. 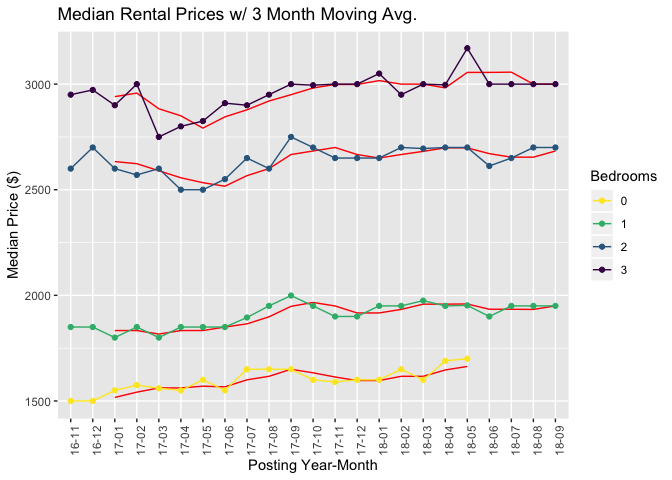 The only great thing new thing is an online dashboard for affordability metrics, but I'm biased. Finally, Ken Sim's housing platform is pretty lukewarm. Introducing the ability to build two, instead of one, secondary suite is a half-measure at best. Similarly, the platform doesn't mention a strong push for additional densification of SFH neighbhourhoods. Reading between the lines a bit, his platform doesn't seem to advocate for low and middle income citizens. If the NPA gain power, I'm not hopeful about our prospects of solving this housing crisis. There are obviously many other facets to their platform, so please take the time to educate yourself. Most importantly, GO OUT AND VOTE. YES I'M YELLING. In September, we counted 5,217 unique listed units in September. This is a drop of 11% from last month, and probably due to seasonality. We don't actually know because I missed out on collecting data last September. Oops. 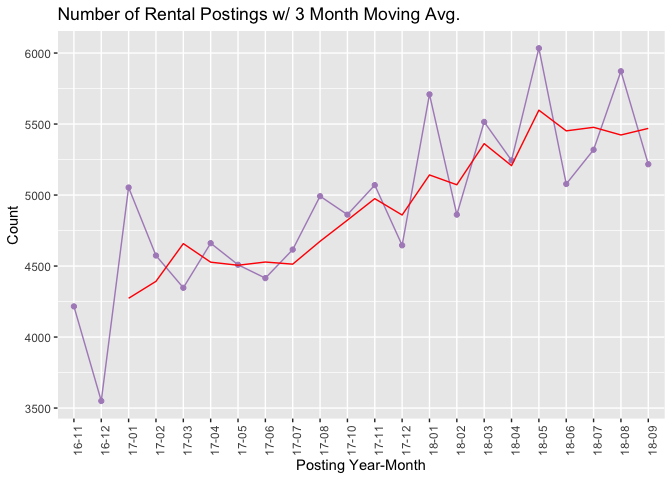 It looks like rental vacancy has hit a bit of a plateau. The moving average has stablized around 5,500 a month. It's another boring month for prices. All three unit types that we are tracking saw a 0% increase MoM. Last month we talked about how Vancouver's new short term rental bylaw coming into effect. Since then, Airbnb delisted a bunch of units and converted many more over to 30 day minimum stays. The last time we took a close look at furnished units was March 2018. 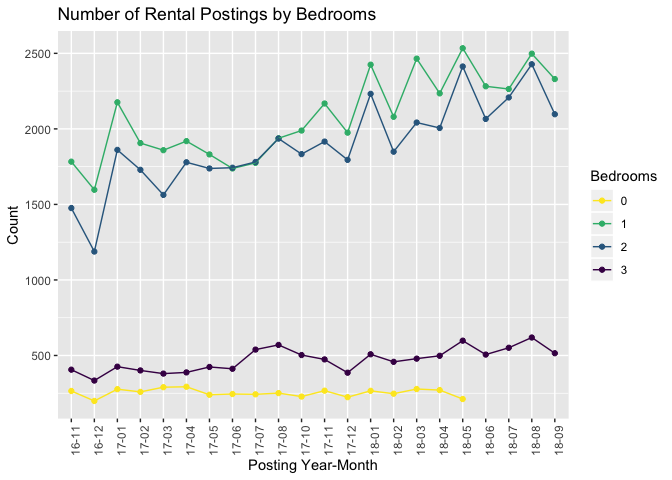 As of October, about 35% of all one bedroom units were furnished compared to 31.5% in March. There are more furnished units, but not the thousands that were de-listed from Airbnb. The furnished premium, how much more you get for furnishing your unit, has significantly shrunk since then. In March, the premium for a one bedroom unit was 29.7% compared to the current 21.6%. Two and three bedroom units have also seen this gap close. Anyone know where all these furnished units went?